The Chinese government has today approved NEVS 'application to start production of electric vehicles at its manufacturing plant in Tianjin. - I am very grateful for the approval. 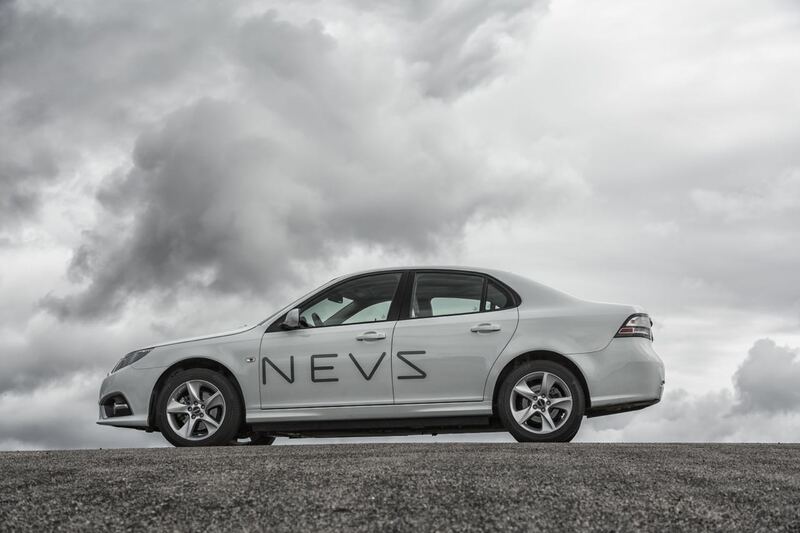 It is an extremely important milestone for NEVS, which is based on 70 years of Saab long history. Kai Johan Jiang, Chairman of NEVS says: "It means we can take the next step to realize our vision. The electric vehicle production approved by the Chinese National Development Reform Commission (NDRC) is required in China. New Energy Passenger Vehicle Project investment approval by NDRC. NEVS 'manufacturing plant is currently under construction in Tianjin, China, with the capacity of 2017 200 annual electric passenger vehicles. The electric car industry is growing rapidly in China. NEVS plan to develop a product portfolio of electric vehicles and mobility services globally, with China as the first and most demanding market for the coming years. XENUM 150 000-9 Sedan electric vehicles to join Panda New Energy, a new energy vehicle leasing company in China. ← More jobs. Signposts disappear. 14 thoughts too "NEVS receives electric vehicle production license in China"
That means something. I'm glad because without a license ...... .a difficult future. An extremely important step and good NEVS NEWS. Congratulations to Trollhättan! Although I can not do anything with NEVS but also congratulations from me! Who can do that? They do not show anything, they just tell. But still good for the former Saabians in Sweden. That does not bring us Saab back, but greatly increases the chances of a new production in THT. So, good news! Nice, just what I waited for. The first important step is done (went faster than I thought) - congratulations to the crew! I am happy for the (SAAB) heirs and survivors. From now on, the countdown is running for the FACTS to be delivered !!! That was really important! Congratulations! Now, NEVS can and must go forward. Is there any information regarding the current 9-3 EV regarding availability in European markets? Possibly. would also be worth knowing if a convertible variant for these markets is planned and when it is roughly expected. If there was something to it, it might be on the blog, right? As a former press manager for SAAB in Austria I was very sorry for the failed arrangement with GM and the following rescue attempts for the outstanding crew of Saab. Now there seems to be a way to continue the development of the brand - albeit under the loss of the brand name - to continue. I wish the team of ex Saab employees good luck!